The History Exhibits are a vital part of the Loveland Museum mission to serve as a regional cultural center for the enrichment of visitors of all ages and backgrounds. The scope of History Exhibits is broad, encompassing both local and regional history. History exhibits portray the development of Loveland from its beginnings as a pioneer settlement to its becoming a thriving artistic and business community with unique qualities. In addition, these displays offer interactive and educational programming to increase visitor’s awareness of what life was like for early settlers – what they made, used and collected. The History Gallery offers the Museum the opportunity to highlight items from the collection on a rotating basis. With the prospect of expansion in the near future, there is the opportunity to expand the history section of the Museum to include more semi-permanent exhibits and include a changing gallery that will include both traveling and curated shows. The Loveland Museum exhibits history through several world class displays, including Life on Main Street, Mariano Medina's Cabin, Great Western and more. 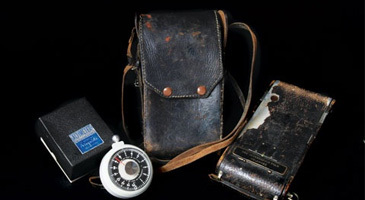 The Loveland Museum accepts donations of items to be used in our history exhibits. If you have an item that you would like to donate, please contact our Curator of History. The Loveland Museum's collection consists of approximately 30,000 objects. The collections are used to exhibit, research and interpret Loveland's unique history.